FOR years Ellen Waters has helped create delicious meals at Warwick's Gardens Galore, but now she's offering customers a service that keeps giving long after lunchtime is over. 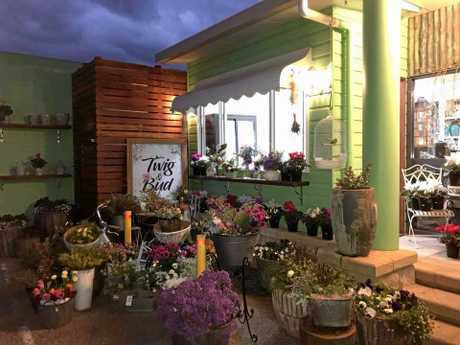 On the first day of spring Miss Waters opened Twig and Bud, a quaint little florist situated at the front of the bustling Warwick business. Miss Waters has always enjoyed creativity, creating menus and decorating for functions. But training to be a florist presented the new challenge of taking something beautiful and making it even more stunning. 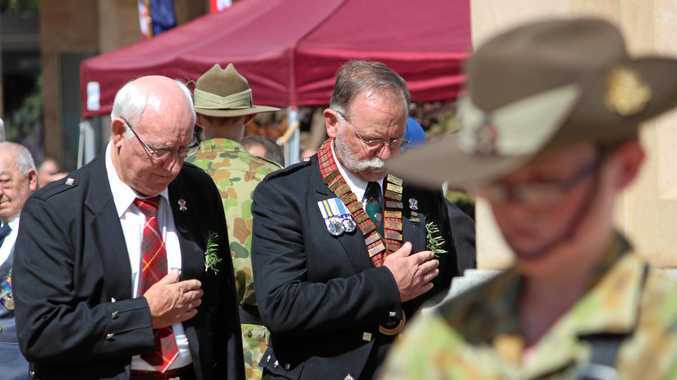 "I like mixing the pretties with the rustics, that's my style,” Miss Waters said. Miss Waters has almost finished an accredited floristry course and recently returned to Warwick after a short break away to team up with Gardens Galore for the new venture. Miss Waters said she picked up some know-how about flowers and plants during her 10 years at the business, but has also learnt about conditioning flowers to prolong their life and how to pair different types together. 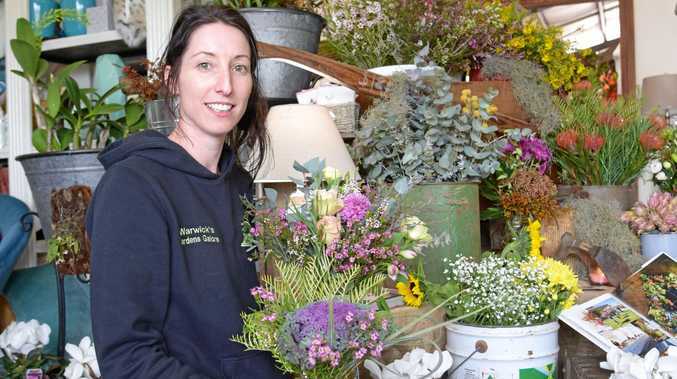 While starting a florist has been on her mind for a while, Miss Waters said social media has created great interest in the industry in recent times. "People are putting pictures of flowers everywhere and I see more people getting into gardening, everyone's going a bit greener,” she said. Twig and Bud will offer corsets, flower headbands for the races, flowers for button holes, centrepieces, hallway displays and bunches for every budget, starting at $10. Miss Waters said she wanted to thank the team at Gardens Galore, as well as her customers for their support. "It (Gardens Galore) just keeps growing and growing, you have to keep people interested,” she said. Twig and Bud will be open seven days a week from 7am to 5pm at 21 Albion St.